Chris Boza woke shortly before 5 a.m. when the power went out, likely due to a tree branch that snapped under the weight of the spring snow. But as it turned out, it was a good day to talk about trees and the health of Missoula’s urban forest. Boza, the city’s urban forester, gave members of the City Council an update Wednesday on efforts to nurse the aging forest back to health. With a funding boost provided in last year’s city budget and several experimental programs now underway, Boza and his crews are making progress in their work to preserve the urban forest for future generations. When the last inventory was conducted in 2014, the city’s trees carried a combined value of $86.8 million. This year’s inventory saw that asset increase to $91.4 million, with the trees now numbering more than 26,700. But preserving those trees for future city denizens requires funding, commitment and a good plan. The city implemented a strategy two years ago to address a number of immediate needs, including risk management and the removal of damaged or dying trees. As it stands, Boza said, roughly 2,340 trees are listed in “very poor” condition or worse. Urban foresters gauge a tree’s health in part by using tomographs and resistographs, Boza said. Back in 2015, Boza cast a dire warning, saying that without action, the city would see 67 percent of its tree population die within the next 20 years. Such a scenario would reduce the urban forest to a scant 8,000 – a figure that would change the city’s landscape and potentially drive up other costs. Back then, the urban forest provided an average yearly benefit of $2.4 million in energy savings. That includes carbon sequestration, storm-water retention and shading on hot summer days. If the population were to die, it would take the savings with it. But despite the headway made in addressing the health of the urban forest, the city is still removing more trees than it’s able to plant, Boza said. At the current staffing rate, forestry crews are cutting 325 dead or dying trees each year and planting just 160 new ones. Boza attributed the disparity to funding and estimated the city has around 5,000 vacant planting locations to fill. 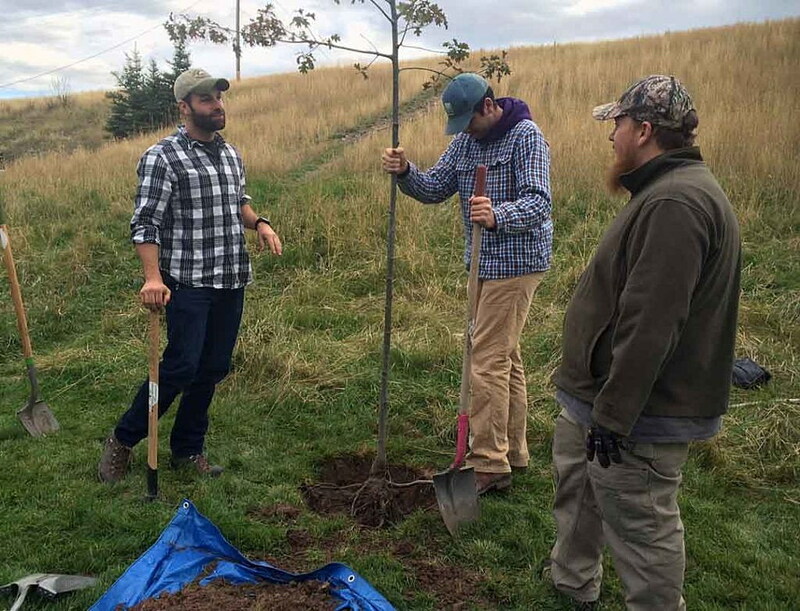 It’s something Trees for Missoula and the city believe they can address with several new programs. Karen Sippy, executive director of Trees for Missoula, said a gravel bed located at the city’s treatment facility has show promise growing a hearty stock of local trees to bolster the city’s planting efforts. Doing so may prove cheaper than traditional methods and save time in the long run. Crews placed the trees into the gravel bed when they were little more than sticks without a root system. Less than a year later, the root system had blossomed, and because there are no root balls, Sippy said, the trees are easier to transport and plant. The survival rate also has increased. Of the 60 trees planted last fall, just one died of natural causes while two others were killed by vandals. As the program expands and efforts to tap into burgeoning high school foresters widens, Boza said the city hopes to reduce the service cycle from its current 51 years. The optimal window, he said, is around five years.